Looking for a unique night time mix of art, live music, fine food and drink. 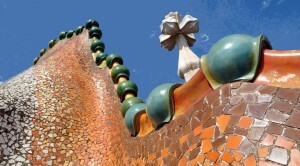 This summer Casa Battlò hosts, for the first time, its Magic Nights on the Dragon Roof Terrace, providing a fresh and distinguished evening set within this magical Gaudi masterpiece. Access to the rooftop is from 9:00pm each Wednesday to Saturday, and can be combined with a visit around the house prior to the entertainment, making this a visit to remember. The combined visit is priced at just 36€ and is from 8pm onwards, giving you an hour to explore, with a video guide of the house itself also available, then at 9pm the roof terrace is opened. 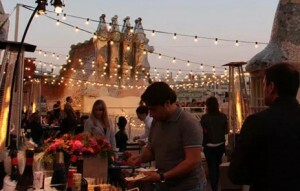 You can take just the 29€ option which allows you access to the roof terrace from 9pm for the evening concert. Both options include a drink, and there is further optional food and drinks available. Artists include: Carmen Porcar, Gigi McFarlane, Aires de Rumba, Marga Mbande and Sergi Vicente. Providing their versions of classic blues, soul, jazz, bossanova, R&B and classical Spanish delivered in delightful and enchanting performances, highly recommended!